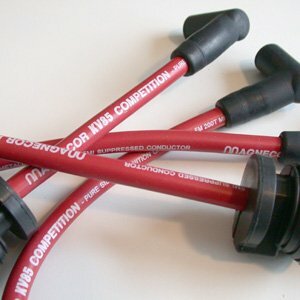 The Spark Plug Wires of MAGNECOR KV85 8.5mm competition, is the perfect choice to replace the factory spark plug wires. The insulating cover made from special aerospace silicone ensures high temperature resistance and also in difficult conditions.Essential accessory of every MINI, provides unique style at engine. Available in red colour.